Atlas Copco will showcase its new Christensen 140 surface core drilling rig at MINExpo 2016, opening a new chapter for safety in surface exploration. The rig offers a new feed guard with interlock function, a more robust mast and a rotation unit that reduces maintenance time. Safety on the surface will get a solid boost when MINExpo 2016 gets underway in Las Vegas, and Atlas Copco’s new surface core drilling rig will be a frontrunner. Called Christensen 140, the new rig offers a range of new safety features including a drill feed guard with an interlock function that stops the rotation of the drill string rotation unit when the hatch doors are opened. This meets the most stringent European safety standards. The new rotation unit is two-gear driven with a hydraulic shift at the control panel. The rotation unit includes an improved seal which prevents contamination. At MINExpo we will be presenting a powerful, more robust core drilling rig for surface applications that meets worldwide safety standards. 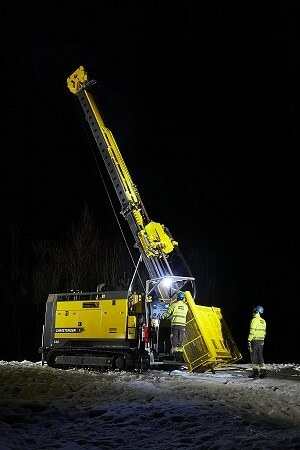 Not only that, it is capable of taking six-meter cores instead of the previous three meter size, enabling exploration drillers to extract more samples per shift. The control panel includes functions, such as, constant penetration rate, hydraulic operation and improved rod centralizer. The operator panel has a swing away capability enabling the operator to improve his or her operating position. 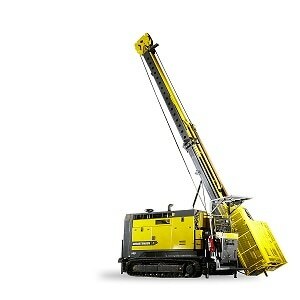 Following MINExpo, the Christensen 140 will also be available with an optional rod handling system.